Linc Group is comprehensive supply chain services provider, which transform every customer' supply chain challenges into their competitive advantage. Through the years, our growth was driven by our customers’ unique characteristics and needs. By analyzing and understanding companies of varying sizes and complexities, we are able to expand and develop our competencies to deliver powerful and effective solutions. We continously learn from our customer's best practices to deliver the right solutions to meet our customer's growth objectives. 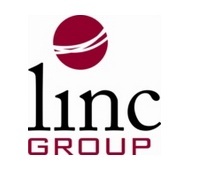 Linc Group offering an excellence in supply chain management and logistics solution that includes Shipping, Freight Forwarding and Custom Brokerage, Distribution/Transportation, Distribution Center and Inventory Management, Liquid Bulk Storage Tank, Supply Chain IT Solutions as well as Comprehensive Supply Chain Training and Education Center. - Penempatan di KIIC, Karawang. Jakarta The Bellezza Gapuraprima Office Tower 28th Floor, 12210.